Remember when Salt Lake City partnered with Salt Lake County, Davis County, Intermountain Healthcare, and UTA to host Free Fare Days on Feb. 28 and March 1? The official UTA press release results are posted below! But first, follow Mayor Jackie Biskupski on her donut delivery quest the first day of free rides . . . The results from UTA’s Free Fare Days on February 28 and March 1 show a 16% increase in boardings for the entire system. Using the average weekday boardings in February 2019 as a baseline (151,933 boardings system wide) overall ridership on Thursday, February 28 jumped to 171,664 and on Friday, March 1 there was an even larger increase to 181,365 passengers. Free Fare Days were sponsored by Salt Lake County, Intermountain Healthcare, the Salt Lake City Mayor’s Ofﬁce and Davis County in partnership with UTA. Compared to 75,479 average weekday boardings in February 2019 bus ridership increased 10%. 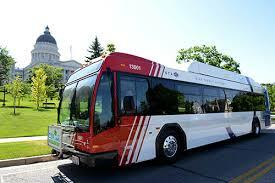 On Thursday February 28, 82,489 passengers rode UTA buses and on Friday March 1 the number improved to 83,818. This increase in bus ridership stands out in comparison to the previous free fare event in December 2017 when bus ridership did not increase by a noticeable margin. TRAX experienced a 14% increase during the two free fare days, with a daily average of 65,366 riders. A typical day in February saw TRAX carry 57,319 boardings. On Thursday February 28 TRAX ridership increased to 64,420 boardings and on Friday March 1 the number grew to 66,312 riders. For nearly two months, Salt Lake City Council members have been battling each other for bragging rights and district pride in a challenge posed by Mayor Ralph Becker in April to see who could put the most new Hive transit passes in the pockets of residents. Well, the results are in and Councilman Luke Garrott’s Fightin’ Dist. 4 has emerged the victor. As promised, all Dist. 4 residents who purchased Hive Passes will be treated to a Salt Lake Bees game on June 18 (vs. the Memphis Redbirds) at 7:05 p.m. at Smith’s Ballpark. 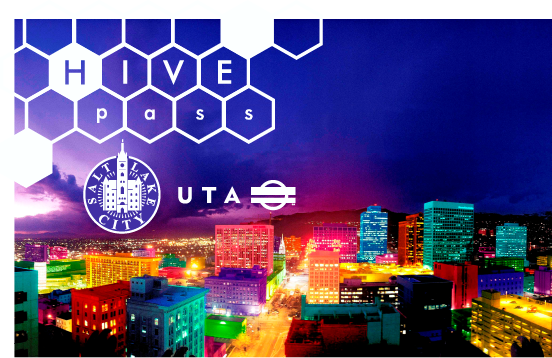 The new Hive Pass is a pilot program created through a partnership between Salt Lake City and the Utah Transit Authority that is initially only available to Salt Lake City residents. The annual pass is good on all UTA TRAX, Frontrunner, bus and S-line Streetcar services and available for an up-front payment of $350 or for $360 in twelve monthly installments. The pass is good for one-year after its first use. Dist. 4 Hive Pass purchasers can pick up their tickets (one per pass purchased) at the Salt Lake City Mayor’s Office, Salt Lake City & County Building, 451 S. State Street, outside of Room 306. Tickets will be available weekdays beginning Thursday, June 12 through Tuesday, June 17 from 9 a.m.-7 p.m. On game day, Wednesday, June 18, tickets can be picked up from 9 a.m.-5 p.m. For questions, call 801-535-7704. For more information on the Hive Pass visit: http://www.ridewithhive.com/. Salt Lake City’s new resident transit pass, the Hive Pass, is currently available at three permanent sales locations as well as a variety of mobile sales opportunities at locations around the city. Passes can only be purchased in-person and a few documents are necessary just to establish Salt Lake City residency. Visit Ridewithhive.com for details. Also, residents who may not be sure if their address is in City limits will find a handy tool on the website to confirm they qualify for the Hive Pass. Monday-Friday, 9 a.m. to 8 p.m.
Sign up to receive Hive Pass email alerts.